There are 3 main problems with Musculoskeletal Care in USA. 1) It is becoming more and more expensive and healthy consumers like you and I are paying these big bills! Musculoskeletal problems and injury prevalence have grown exponentially, and alongside them interventions aimed at treating them. The Center for Disease Control and Prevention (CDC) list sprains, strains, tears, back pain and carpal tunnel syndrome as some commonly reported musculoskeletal disorders of the workplace that are costing employers and employees over $13.4 billion annually in absenteeism, lost productivity, increased healthcare expenditure, disability and WC payouts in this country alone (NRCIM www.nap.edu/read/11032/chapter/1). OSHA estimates that worker’s compensation expenses cost businesses between $15-20 billion each year. 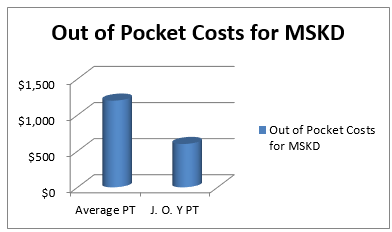 Even more striking are the projections for the future economic burden of musculoskeletal conditions. Annual direct health care costs in low back pain alone were estimated at more than 85 billion dollars nationally in 2005, just over a decade ago, which was a an 65% increase from 1997. So, at that rate, with the incremental costs for low back pain each year increasing by about $25 billion (4% per year, CDC), in 10 years we will be spending an additional $250 billion on low back pain (Bureau of Labor and Statistics, 2012). But despite these increasing expenditures, the prevalence of chronic, disabling low back pain is increasing in this country, as well as others. During the past 20 years in Britain, the prevalence of disabling low back pain for which benefits are paid has risen exponentially (Croft et al 1998), with 90% of people experience back pain at one point in their lifetime, 90% of these have re-occurrences and 25% taking an average of 11 days work off (Bureau of Labor and Statistics, 2012). Who is going to pay this eventual insurmountable cost? We, the tax- paying, healthy, non-smoking, non-diabetic Americans are paying this bill through higher deductibles and copays for private insurance coverage, which has increased every year 4% since according to the Bureau of Labor and Statistics making the average healthy Americans OOP expenditures now averaging $2500 per year. “It is perhaps unsurprising that conflict (in diagnoses of the shoulder) arises when the effects of poorly defined interventions are evaluated in studies where the condition under treatment (i.e. rotator cuff tear) is also poorly defined.” (Littlewood, 2012). There are 3 main solutions to the problems with musculoskeletal disorders in MN with J.O.Y. Physical Therapy. There is more benefit to being mobile than just convenience (although that is a big one!). When you are mobile, you do not pay for a building, the gas bill, property taxes, maintenance etc. Without a building or a land line to go in it, we do not have to pay for a secretary or answering service to take calls from patients. There is also an advantage to fee-for-service. Did you know it is your insurance company that dictates the steps to navigate through the system? The elimination of insurance eliminates the adherence to excessive industry-standard, unnecessary steps and costs. These include low value interventions, as well as documentation and all its processes, billing, administration, and others. These are all rolled into what they charge on your PT bill. Did you ever have therapy for 6 or 7 visits, receive a big bill, and in the end, you didn’t reach your goals? Are you still having your pain? If you have a $2500-5000 deductible like most healthy Americans, you are paying out of pocket for these excess costs. Cash-based PT business eliminates them all, which increases the value of your care. Check out that chart again! Using a symptomatic and reliable mechanical and position-based classification, which is not based on unreliable, unnecessary and expensive imaging. Assisting in clinical decisions of exercise prescription with research of subgroups (Fritz, 2000, Long, 2004) and the specificity of exercise. Identifying The Centralization Phenomenon, which gives patients a reliable prognosis for both accurately predicting the number of visits, as well as the ease of self-management in the future (Clare et al 2005). 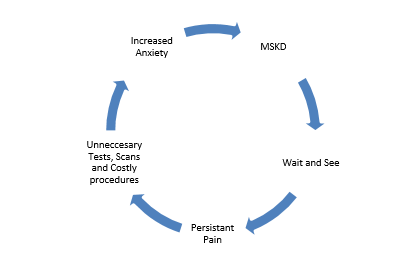 Assisting with Long Term management- patients are empowered with specific tools to help themselves, emphasizing independent care to reduce reoccurrences and downstream costs (Treat Your Own Back, McKenzie 2003); as well as minimizing the anxiety and fear which has been linked to chronic pain (George et al , 2003; Carroll et al 2004). 3) Get in Early! Same Day visits available! Start your new cycle of healing today! Have you ever been to the doctor for back pain and been told to simply wait it out? Well, there’s a reason for that. 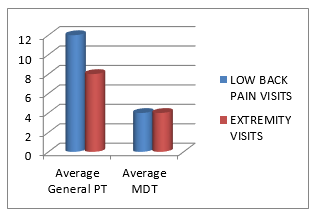 The general medical assumption has been that most low back pain dissipates naturally within three or four weeks as part of an ebb-and- flow cycle, otherwise known and “wait and see.” However, some literature, as well as the rising disabilities in low back pain has suggested that in fact, most people may give up going to the doctor, not necessarily because their problem has resolved (Croft et al , 1998 BMJ). While this may be true in a few cases, the mounting costs of low back pain have led researchers to search for more effective methods of care. For most patients, early intervention with physical therapy can help reduce the need for expensive MRIs and injections down the road. By examining not only your physical symptoms, but your mental and emotional state as well, it will secure you benefit from early intervention methods. Recent data has shown that all patients benefit from early intervention of physical therapy (Machado, et al 2010, Fritz 2012). But especially If a patient is excessively worried about it, scared to move or has a poor coping strategy, we recommend starting on a PT treatment plan immediately rather than waiting it out. So why does your mental and emotional state effect your healing? We don’t have an exact answer, though some theorize that if you don’t believe you’re safe to move you will avoid movement and your body won’t be able to heal properly. Others believe your muscles and bones can be negatively affected by stress.